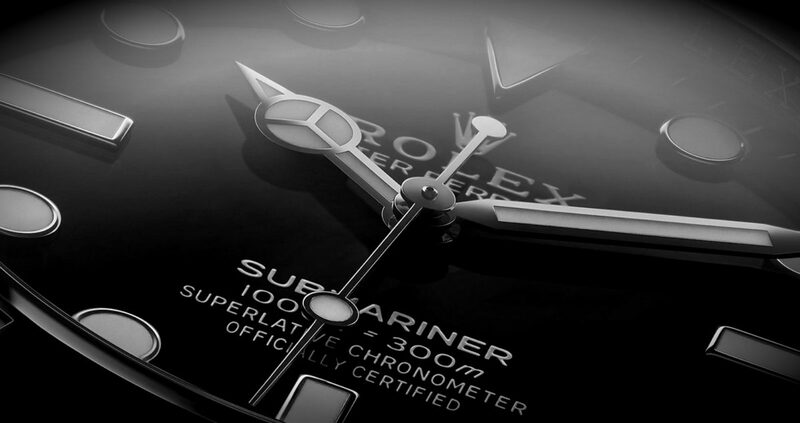 Maybe you’re brand new to watches, and the Rolex marketing juggernaut has done its thing. Or perhaps you’re approaching a milestone birthday and you decide to, you know, treat yourself, because, well, you’ve made it this far, and this is something people do. 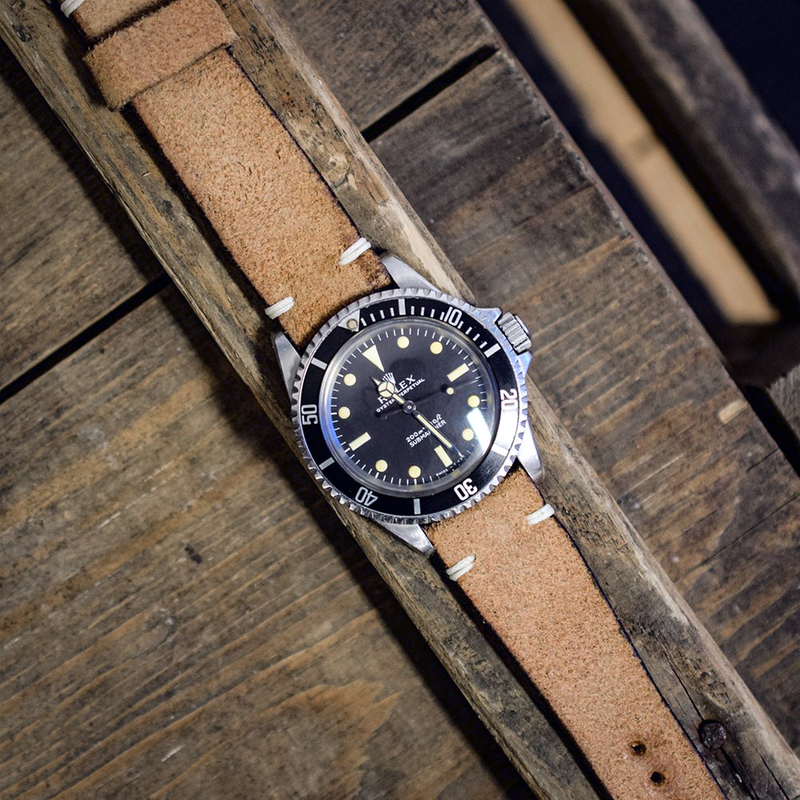 Or you’ve been around the horological block a bit, you’ve owned nice modern and vintage watches, developed your taste, and just feel inexplicably drawn to the crown. No matter how it happens, it happens. You find yourself taking after work trips to the AD just to chat up the salesman, or you browse the forums late at night, looking for one in LNIB condition, with all the stickers still on. You’re going to do this, Watch Guy. This is an inevitability. You’ll cross paths with a modern Rolex infatuation at some point. I’m here to tell you: it’s ok. You’re not a bad person, or any less a WIS for being so deeply bamboozled. 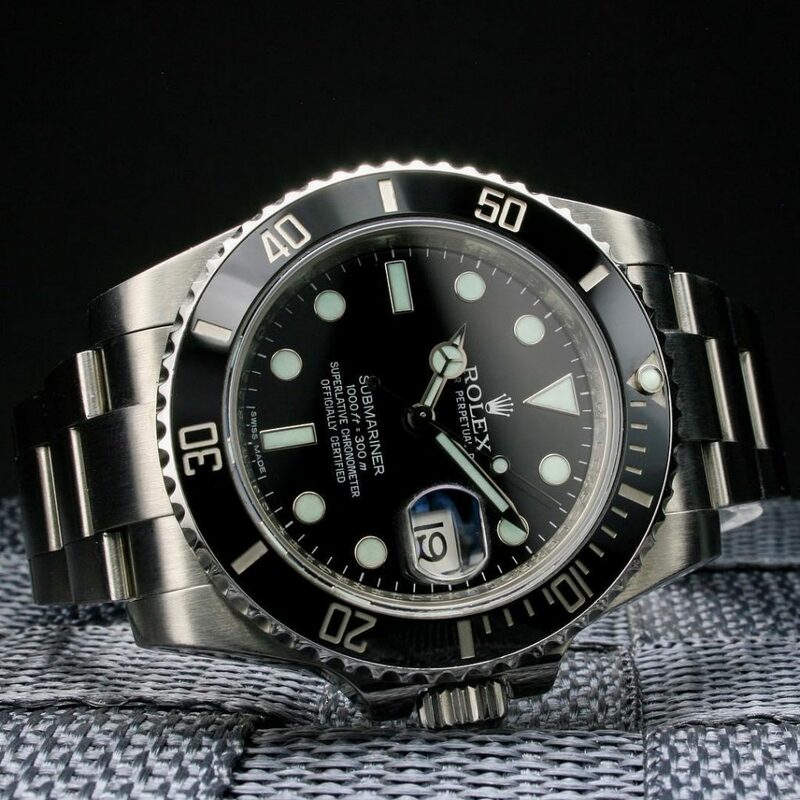 You just have to remember one incredibly important, indispensable truism: There is nothing special about the Rolex Submariner. They aren’t rare. They aren’t beautiful. And auction houses and Italian tastemakers obsess over small details that are, literally, defects. Faded bezels and spider dials throw cold water on the old “Rolex as masters of quality control” chestnut. The basic design of the watch has stayed the same for its entire history. Some will say that this indicates a timelessness, or iconic status, but the design has also become the mental image of what most of the population thinks of when you say the word “watch,” that is if they hear you saying a noun, and not a verb, which I don’t need to tell readers of this post makes Googling certain horological concerns difficult in 2019. 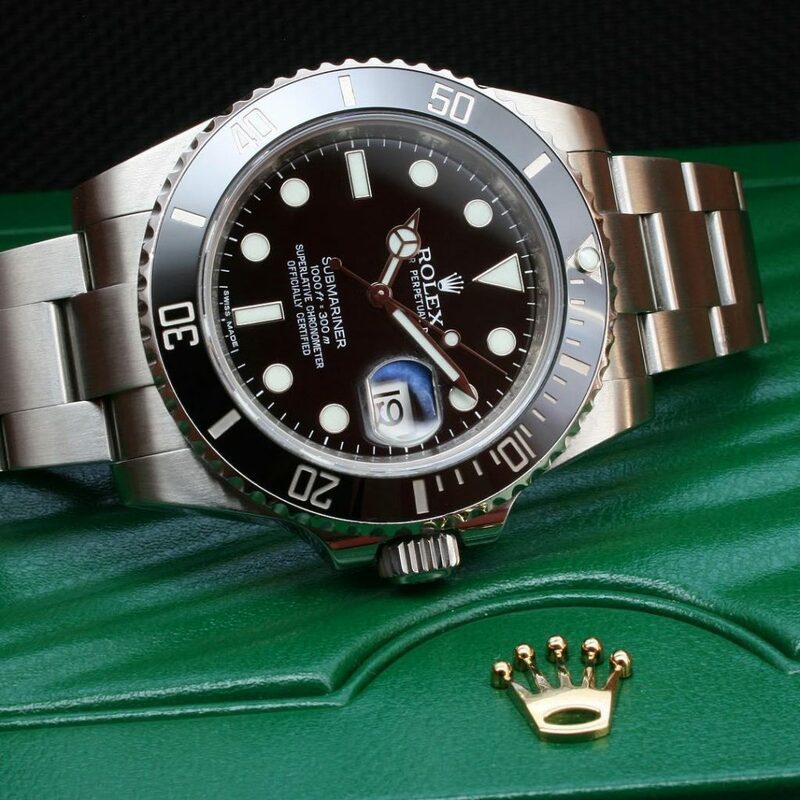 This is all to say, the Rolex Submariner is generic. Simple, copied, ubiquitous. Decidedly not special. 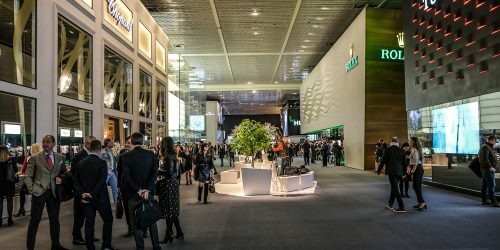 has an actual skunk works division churning out custom made unique pieces for, I guess, Russian oligarchs and oil barons to launder money through. These watches, there can be no debate, are special. 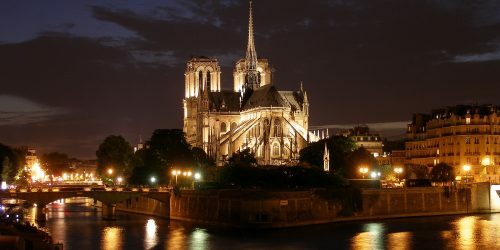 In their construction, their artistry, and the likelihood that they are someday seized as evidence by state authorities. Trinity among them). For $8000, you can get precious metal cased watches (heavily discounted, on the gray market) from brands with production in the thousands of watches per year. 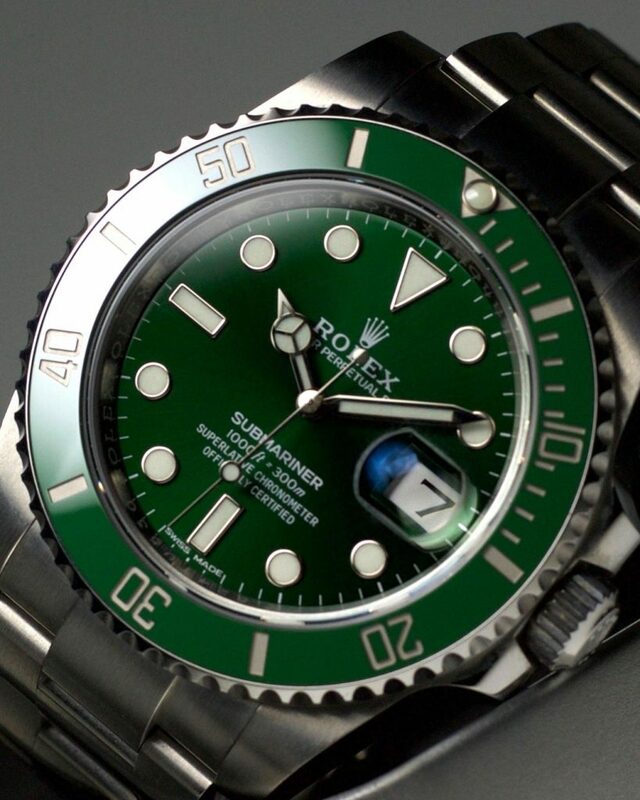 Rolex, by most accounts, produces about one million watches per year. sea level. The faded aluminum of those older references will eventually disappear to the point of being unusable, and while those examples may fetch six figure auction results, they are horribly ill equipped for timing a laundry cycle. 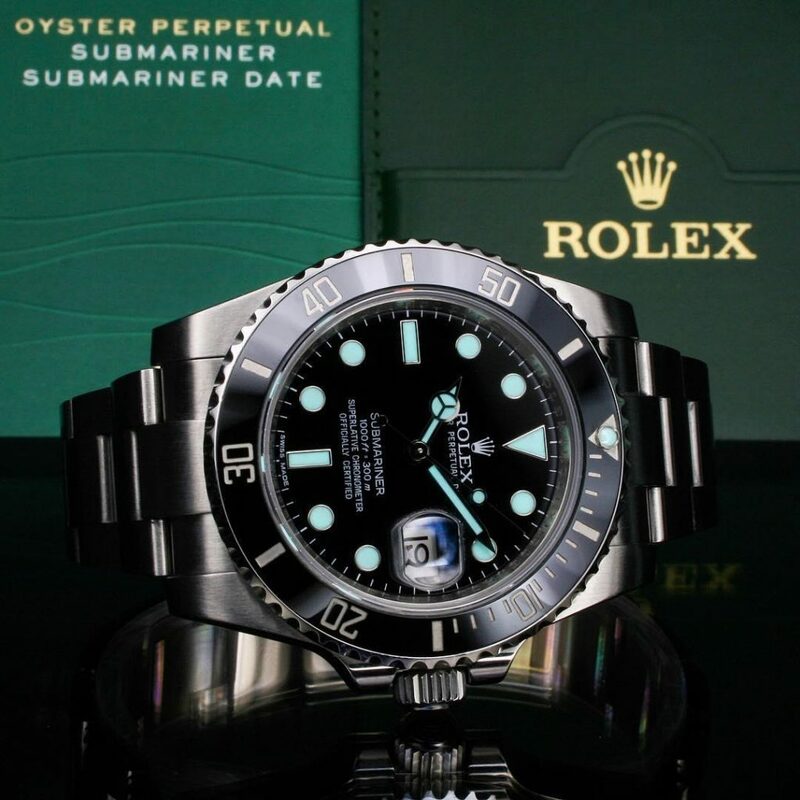 So here I am, several years into this hobby, and my go-to, day to day watch is a modern Rolex Submariner, 114060. And even though I think of myself as fairly knowledgeable in this little subculture, I’m acutely aware that this is not a watch for enthusiasts. This is a mass produced and shiny hunk of steel that anyone looking for watches on strangers (and we are all those people, it’s ok to admit it, this is a safe space) will recognize across any room in the world. I’m not rich, or drunk with power, or care particularly if people think I’ve made it in life (I buy store brand cereal, people) but this watch gives me as much pleasure – as a watch guy – as a JDM Seiko or a vintage Cartier. 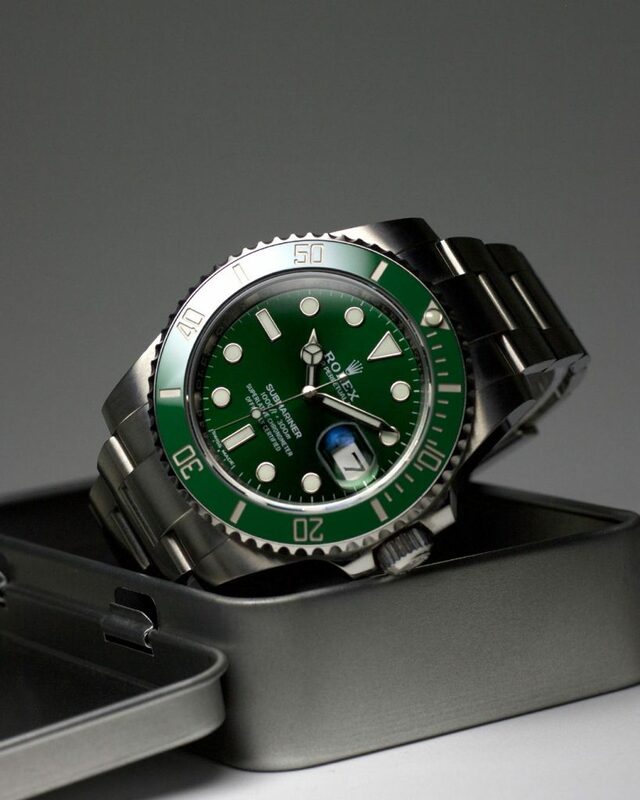 This certainly won’t go unnoticed..
decide what to wear, the Submariner is always right. And the bezel is absolutely essential for timing my frozen pizza. 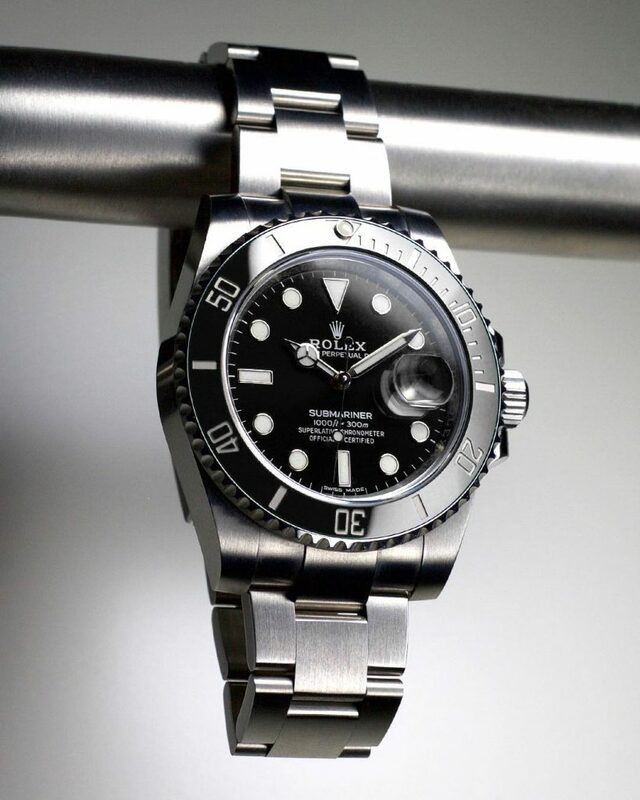 The maxi case is dismissed by the most vocal of Rolex fans, and I don’t know that I fully understand why. It wears superbly well. Truly, it’s one of the most comfortable watches I’ve ever strapped on. Although, to be honest, to say that one straps this watch on is a bit of a misnomer, and undersells the insanely satisfying tactile feedback received locking the clasp, which must be engineered to tolerances in the microns. The dimensions have a certain angular appropriateness for a tool of supposed great precision, at least on my weirdly flat wrist. If you like symmetrical things or look back to high school geometry without having panic attacks, you might understand the appeal. They say the slimmer lugs on the vintage references are more elegant. Is elegance what you’re looking for in a dive watch? Really? 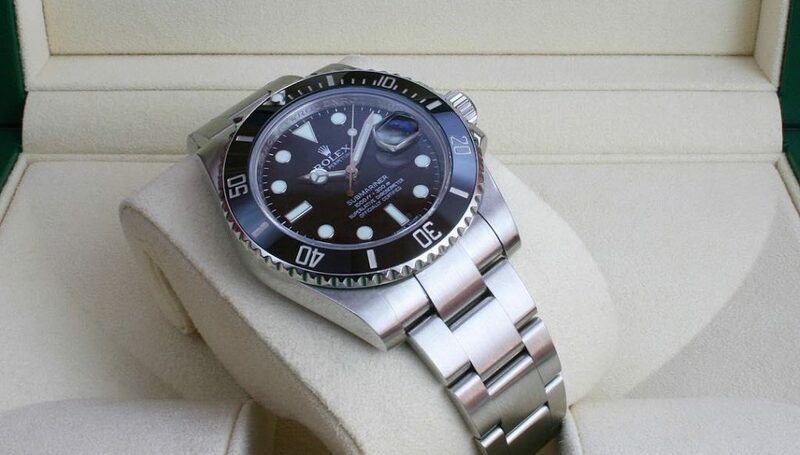 If I’m going spend Submariner money on a Submariner, I’ll take a Submariner, thank you. It should be new, with my name on the card, built for 2019, and if I don’t get it serviced for 50 years, I guess the grandkids will take care of it. Honestly, I worry about some of these high priced vintage models being worn as tools as climate change becomes more and more of a reality. Are you sure that 5513 is going to be watertight when your beachfront property is swept away? Not a concern with my enormous, squarish, ceramically shiny maxi cased monstrosity. 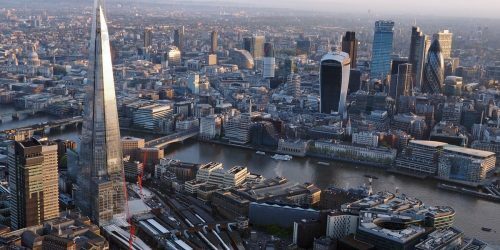 As a middle class person I will agree that, yes, the cost of these things is hard to justify. But when I was just starting out, and not even remotely middle class yet, a shoe salesman taught me a very important lesson about value. Yes, I could purchase the cheap dress shoes for my first real job. They were about $40, had a rubber sole, and were made from leather that was not actually leather. They’d last about a year, I was told. But the $300 pair – not only did these look better, but I was told that they could be resoled several times, throughout years of use, and that polishing them with a specially made horse hair brush would be a fun Sunday morning ritual for years to come (ok, I found out that last bit on my own). The math here was easy. If I got just 10 years out of these real shoes, the cost to own them per year easily beats the bargain version. 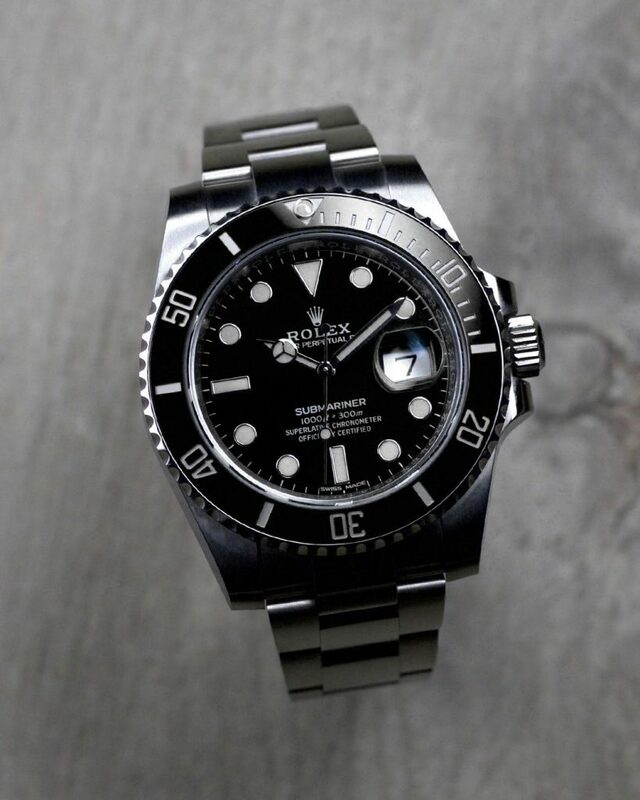 The lesson, friends, is simple: buy the Submariner. Give in to the hype. Life is too short to not have the things you desire, and there’s a reason you see them everywhere. But, for God’s sake, keep the Rolex away from the shoe polish. Article written by Zach Kazan, Photography by aDutchWrist. Hero Img by Rolex. Superb write-up and great sense of humor! Started reading and thought you were going to destroy the sub for a minute there! 🙂 Have tried one on more than a few times, just can’t seem to get used to the size on my small (6″)wrist. I do agree with your point of view, if I were to buy one (or any Rolex in fact), I’d just buy new and get the latest and greatest. Not wanting to enable anyone here, but I wouldn’t purely look at your wrist size to try it on. But I agree – it’s a hefty watch compared to the older case design. As mentioned quite nicely by Zach, its best to look at it from a ‘toolwatch’ perspective (albeit a super expensive one), and the newer size and robust case makes sense in that context. Forgot to mention: Thanks to @aDutchWrist for the lovely pictures as well of course!